You’ve just won a Grammy. As you battle an overflow of emotions, you’ve got about a minute to sum it all up to your peers and the Academy in Los Angeles, along with everyone watching at home. What do you say? Who do you thank? Got anything you’d like to get off your chest? Invasion Of Privacy was a major commercial and critical success upon release and now, Cardi’s well-earned Grammy and poignant speech further ensure its place in cultural lore. Let’s be blunt: No matter what happens at the Grammy Awards, people are gonna complain. Your favorite didn’t win the award they were nominated for, you didn’t dig a performance — the gripes are endless. That being said, the 2019 Grammys were one of the most enjoyable in recent memory — from a salute to Dolly Parton that had us grinning ear to ear to Cardi B’s game-changing win, there were a number of moments that will go down in music history. And a few moments that left us cringing, of course. These are our best and worst moments of the 61st Annual Grammy Awards. As you might have guessed, Alicia Keys isn’t just a pro pianist and an imposing singer-songwriter — she knows her music history. So when the Grammys host embarked on a medley of songs she wish she’d written, it wasn’t just your usual cute-but-forgettable affair. Keys placed herself between two pianos and, playing them simultaneously, paid homage to Hazel Scott, a pioneering pianist of the first half of the 20th century who refused to capitulate to the racist standards of her era. Not many people can cover Coldplay and Lauryn Hill AND make it a history lesson. But Alicia Keys is certainly one of that select few. Defenders of his lengthy career argue the Grammy guru’s term shouldn’t be defined by his massively ill-advised “step up” comment at the 2018 post-show Grammys. But did he deserve time to walk back the contentious comment on the Grammys broadcast? Maybe — if he fully owned up to the bone-headed comment. Which wasn’t exactly the case. As it was, we watched a vague “mistakes were made” moment followed by stone-faced reactions from Kacey Musgraves and Lady Gaga. And who could blame them. A tribute to Motown’s 60th anniversary should’ve been a homerun. But with Jennifer Lopez presiding over it, it was an oddity for the ages. J.Lo — as demonstrated during her Motown medley — is an astonishingly adept dancer, a superb entertainer and a great vocalist. But in no world is she the best artist to fete Motown. And in no universe is she the SOLE artist to fete Motown in an awards show tribute. This was a head-scratcher for the ages. But for Israel partisans – including many Democrats and Republicans in Congress – BDS smacks of anti-Semitism and poses a threat to Israel. 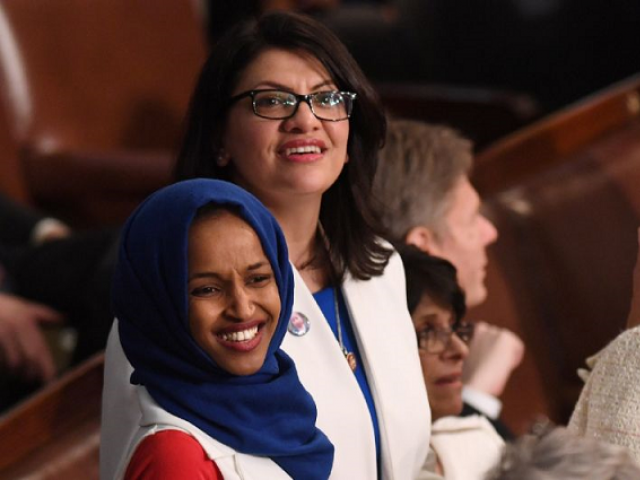 After Omar joined the influential House Foreign Affairs Committee, according to The New York Times, Jewish committee Chairperson Eliot Engel privately made it clear that he would not ignore any “particularly hurtful” remarks she might make. SEOUL (Reuters) – Officials signed a short-term agreement on Sunday to boost South Korea’s contribution toward the upkeep of U.S. troops on the peninsula, after a previous deal lapsed amid U.S. President Donald Trump’s call for the South to pay more. The superintendent of Denver Public Schools says she’s disappointed that the teachers union broke off negotiations Saturday night. The head of the Denver teachers union says he has “significant concerns” about a new contract proposal from Denver Public Schools. Denver Public Schools officials said the Friday session was productive, but Denver Classroom Teachers Association President Henry Roman (ro-MAHN’) said they made little progress. School district officials said Friday’s talks were productive, but teachers union President Henry Roman (ro-MAHN’) said the two sides made little progress. The singer also appeared in a music video for a Valentine’s Day and in a sketch about girls pledging a sorority. Pop singer Halsey served as both the host and musical guest on the Feb. 9 episode of NBC’s Saturday Night Live, which spoofed Riverdale, Empire and Meet the Press. Halsey played Lili Reinhart, playing Betty Cooper, in a sketch set on the Riverdale set in which Pete Davidson played a background actor taking his role as a corpse way too seriously. Beck Bennett played Cole Sprouse playing Jughead Jones. The episode focused heavily on President Donald Trump’s recent State of the Union address as well as Virginia Gov. Ralph Northam’s blackface controversy. Political digital shorts included another installment of the Empire-inspired “Them Trumps” and a video dedicated to the women of Congress, in which Halsey appeared alongside all of the female SNL castmembers. In addition to a lot of political material, the episode made use of Halsey’s musical talents. She appeared in a music video for Valentine’s Day and a sketch about girls pledging a sorority in which she sang “What’s Up?” by 4 Non Blondes and performed ridiculous pledge activities like pouring hot coffee in a guy’s lap. Halsey also appeared in a sketch in which a father, played by Kenan Thompson, told his family that he has been filming himself sitting on cakes for extra money. Actor Rob Lowe deleted a tweet mocking Sen. Elizabeth Warren, D-Mass., for her past claims of Native American ancestry. The 54-year-old “The West Wing” and “Parks and Recreation” actor tweeted Saturday evening, “Elizabeth Warren would bring a whole new meaning to Commander in ‘Chief,'” after Warren officially launched her 2020 presidential campaign. In another tweet after midnight Sunday, Lowe caved to public opinion and backed down from the joke. The president’s tweet was roundly criticized for the apparent reference to the “Trail of Tears,” the name of the perilous trek Native Americans took after being forced from their lands in the Southeast U.S. after President Andrew Jackson signed the Indian Removal Act in 1830, leaving more than 4,000 Cherokees dead. Among those who reacted to Lowe’s original tweet was actress Alyssa Milano, a vocal Trump critic. “Tonight, the role of Scott Baio will be played by Rob Lowe,” she said, referring to a fellow actor who identifies as Republican and has defended Trump. Someone also edited Lowe’s Wikipedia page to call him a “racist.” The change was undone within seconds, according to the page’s revision history. In recent days, Warren has apologized amid a wave of backlash from political allies and enemies alike for identifying as Native American in the past, including during her time as a professor at Harvard University and other colleges, and for taking a DNA test last year to show she had Native American roots. That same Post report published a 1986 Texas bar registration card, found via an open records request, on which Warren claimed “American Indian” was her race.